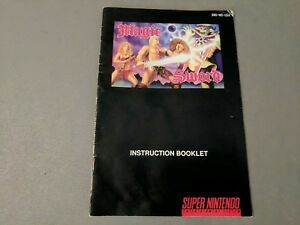 Details about Instructions Manual Booklet Magic Sword Super Nintendo SNES RARE! Capcom! Instructions Manual Booklet Magic Sword Super Nintendo SNES RARE! Capcom!